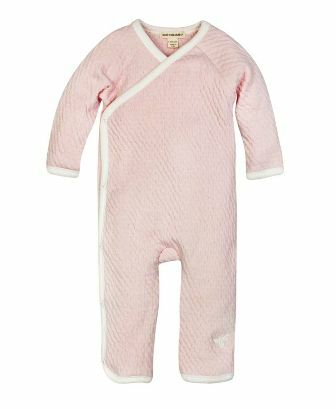 Bundle your little bee up in our 100% organic cotton footless quilted kimono coverall! This super cozy coverall is newly improved with interior ring snaps and exterior custom bee snaps, which make for easy on and off changes. Take a closer look to discover the all over bee pattern in the matelassé fabric! Wash & care instructions will be packed with the garment.